The EPA lowered the National Ambient Air Quality Standard for ozone in 2015 from 75 ppb (parts per billion) to 70 ppb, which will have an impact on the Dallas-Fort Worth area, as there are ten counties that had not reached the old standard of 75 ppb, although the area has shown steady progress toward lowering ozone over the past 15 years (see the graph below). By October 1 2016: States (and any tribes that choose to do so) recommend the designation for all areas of the state, or any relevant areas in Indian country, and the associated boundaries for those areas. To assist states and tribes in preparing their recommendations, EPA intends to update its existing designations guidance in early 2016. By June 1, 2017: EPA responds to states’ and tribes’ initial recommendations and identifies where the agency intends to modify the recommendations. States and tribes will have the opportunity to comment on EPA’s response, and to provide new information and analyses for EPA to consider. By October 1, 2017: EPA issues final area designations; those designations likely would be based on 2014-2016 air quality data. 2020 to 2021: For nonattainment areas classified as “Moderate” and above, states, and any tribes that choose to do so, complete development of implementation plans, outlining how they will reduce pollution to meet the standards. State and tribal plans can include federal measures, and any local or statewide measures needed to demonstrate that a nonattainment area will meet the standards by its attainment date. 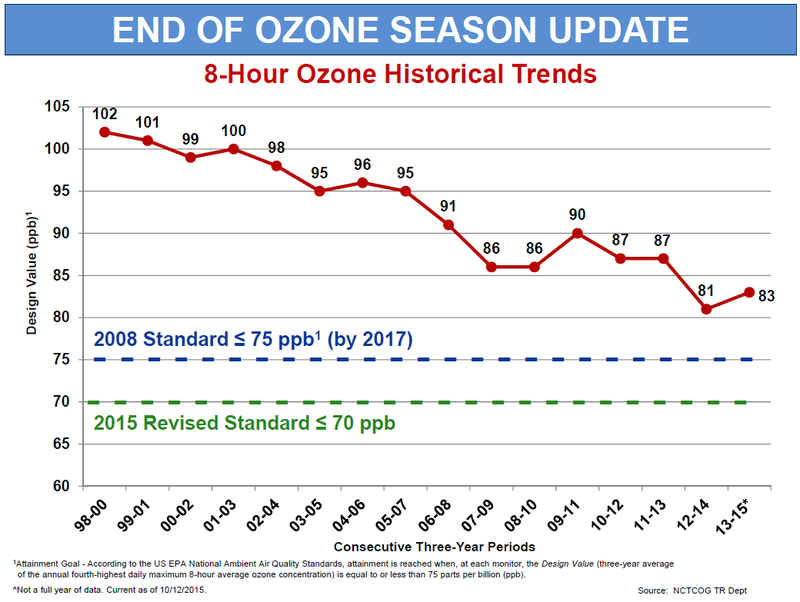 2020 to 2037: Nonattainment areas are required to meet the primary (health) standard, with deadlines depending on the severity of an area’s ozone problem.